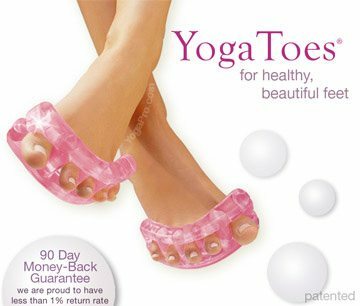 Supposedly these patented toe stretchers will revive your feet after spending hours in tight shoes (or pointed toe shoes) or just a long day on your feet. Check it out: More rave reviews here. 3. THEN let the YogaToes stretch your toes, not the other way around!